Additional Information: Available only via direct mail order through the TCMA catalog, a baseball card magazine named Collectors Quarterly. This is the second of TCMA’s Play Ball sets in the mid ’80s. As with all the other TCMA Play Ball sets, the set replicates both the design and size of the 1940 Play Ball set. 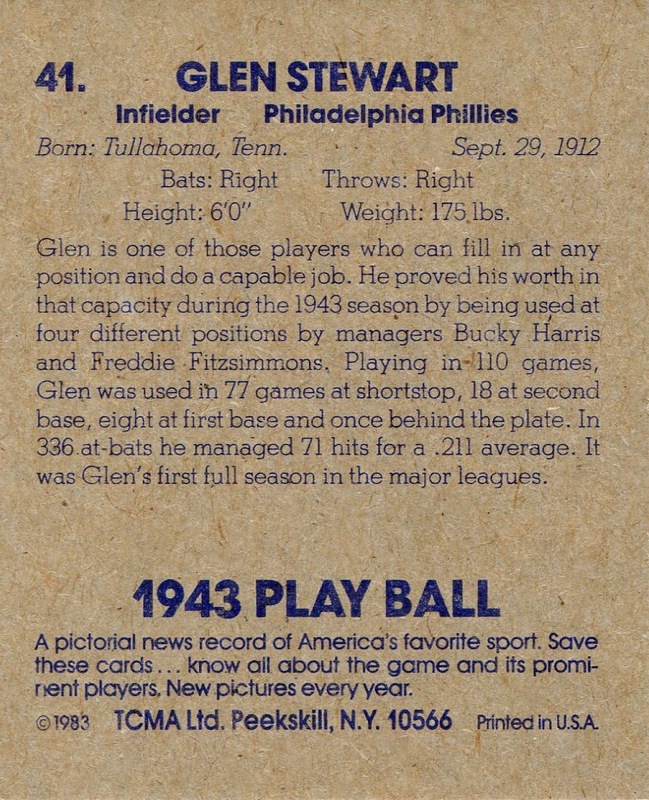 As the title suggests, all the cards depict players on the team they appeared with in 1943. 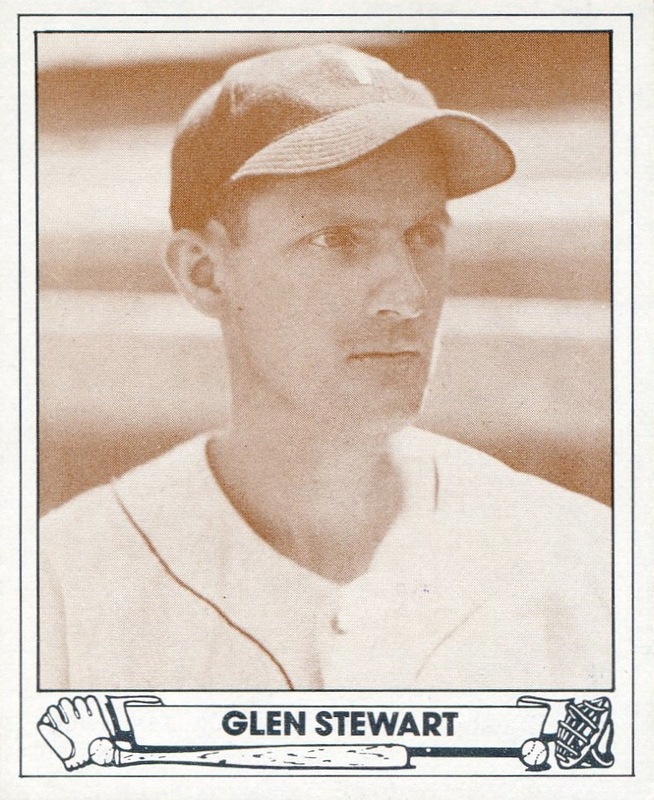 This set contains Stewart’s only card as a Phillie, and the most readily available Livingston card as a Phillie — his only other appearance coming in the 1943 Phillies Team Issue photo set.